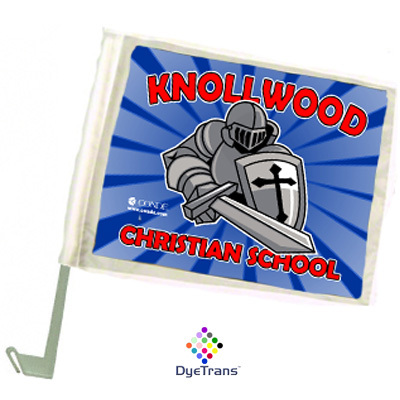 Customize these imprintable flags with sports logos, school mascots, political ads and more! 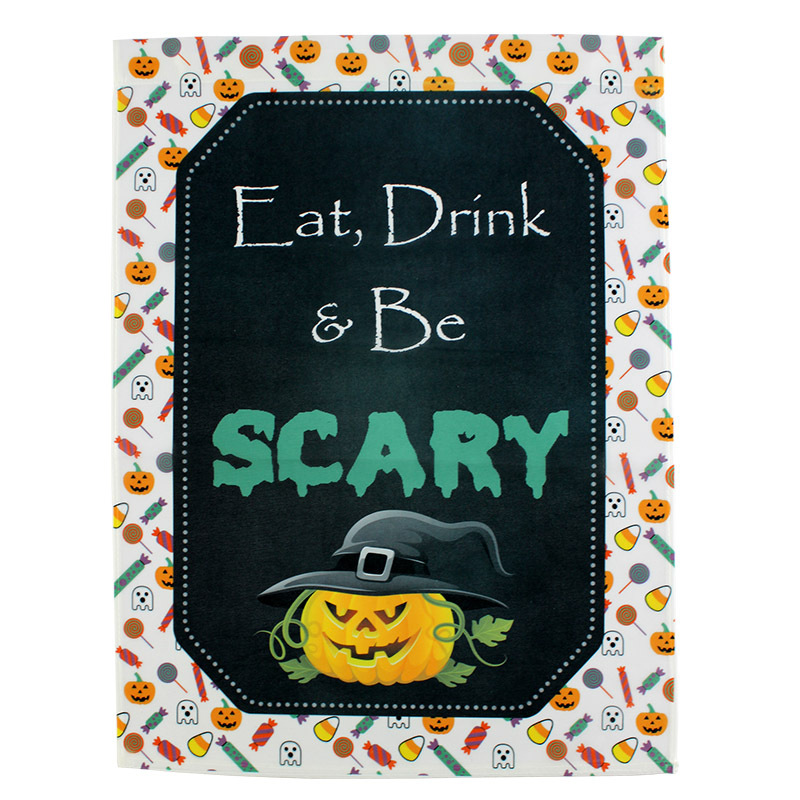 Available from small size to huge 3' x 5' event flag size with single ply or double ply for imprinting on both sides of the flag. Sturdy plastic flagpoles attach the smaller flags to any car window. Brass grommets are featured on the largest flags for running up a school or club flagpole. 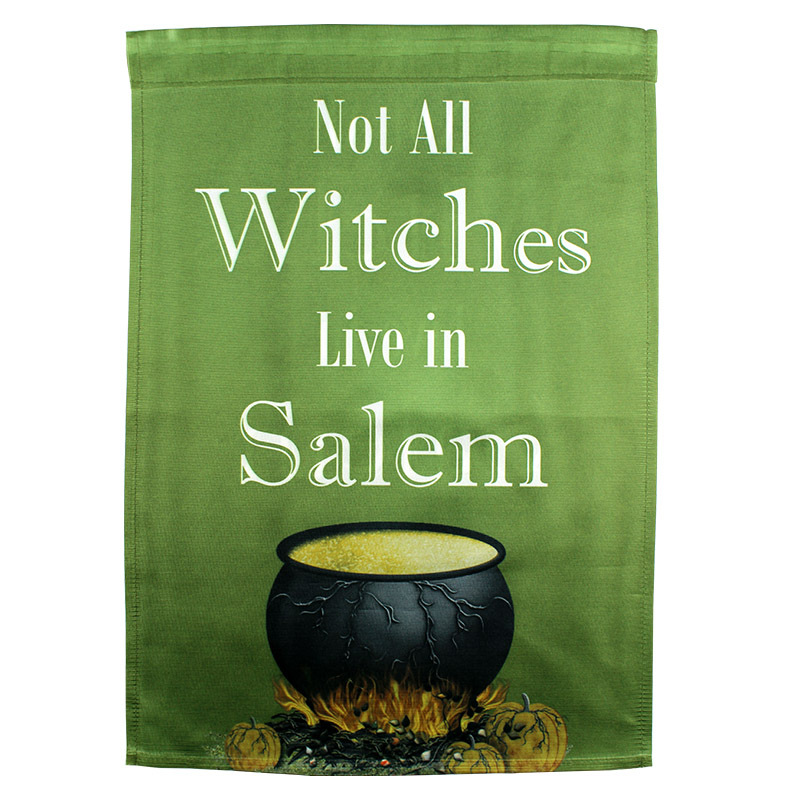 A great item for parades, special events and distinguished personages. Upsell these by offering a second set for the other side of the car or suggest an additional flag to change out the messages. Also suitable as advertising banners. 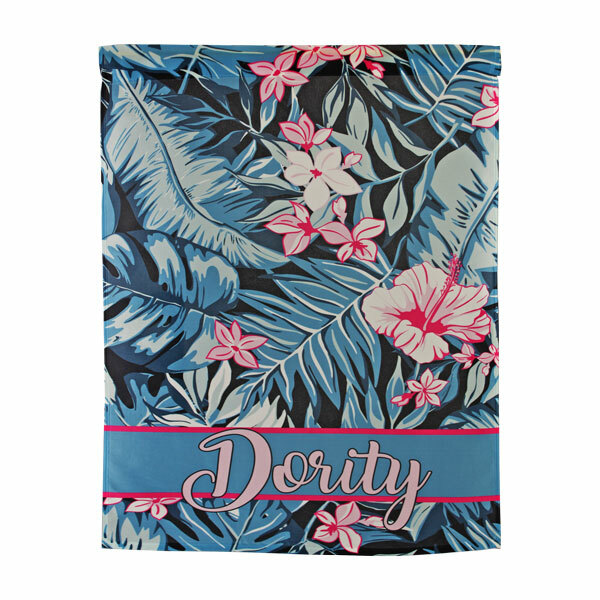 Sublimation on material has longer UV resistance than on tiles or wood, so the flags are more suitable for outdoor display as signage. Note: All car flags are destroyed by driving at high speed and extreme weather conditions. It will shorten the life of the flag. Flag for the Car, Small, Single Ply, 7.5" x 10.75", Includes 13.5" car flagpole(FLAGPOLE01). Upsell these by offering a second sublimation set for the other side of the car. Flag for the Car, Large, 11.25" x 14.75", Single Ply. Includes light duty car FLAGPOLE02. 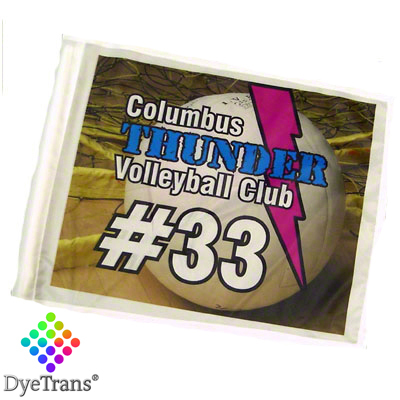 These sublimation flags are great for parades and important personages. 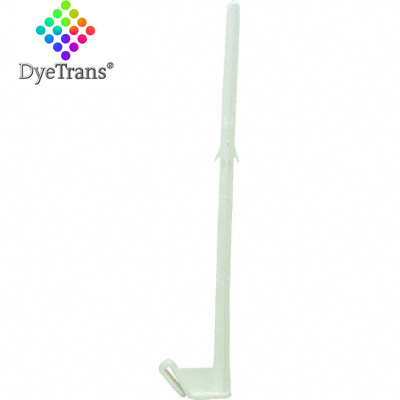 DyeTrans Large Flag, 3 foot x 5 foot (36" x 60"), Single Ply, 200 Denier Flag Dacron, White. 1" fly that has 4 rows of stitches. Separate header of poly duck 1.5" wide with brass grommets. 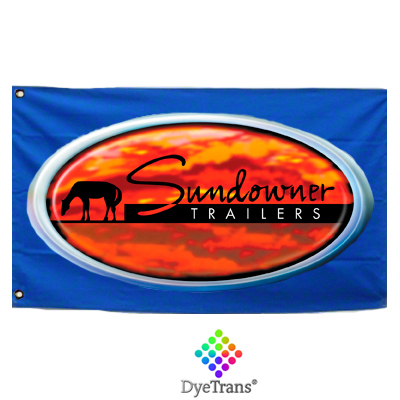 Hook this large flag to any outdoor pole. 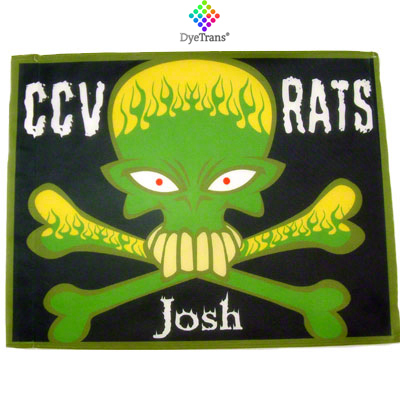 2x3 Foot Single Ply Sublimation Flag without pole, 24" x 36". 200 Denier Flag Dacron, White with Grommets. 1" fly that has 4 rows of stitches. Separate header of poly duck 1.5" wide with brass grommets. 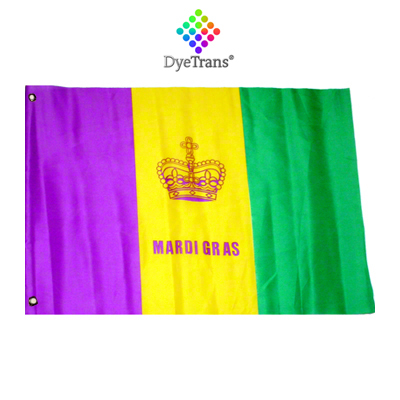 DyeTrans® Flag, 12" x 18", Single Ply, 200 Denier Flag Dacron, 100% Sublimation polyester. White with Grommets. 1" fly that has 4 rows of stitches. Separate header of poly duck 1.5" wide with brass grommets. 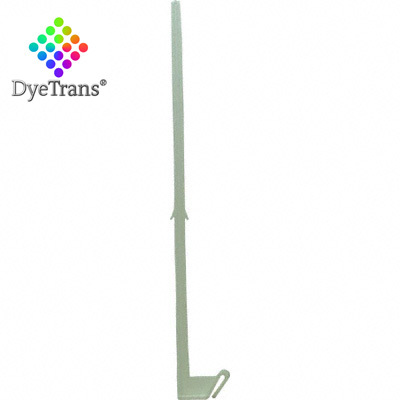 DyeTrans® 12x18 Extra Large Double Ply Garden Flag - without Pole. 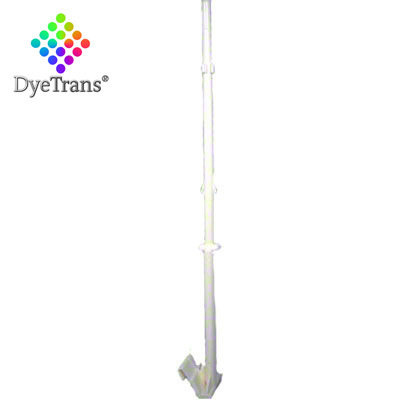 Uses the Garden Flag Pole (FLAGPOLE04 - sold separately). Flag Dimension: 12" x 17.75". Makes great garden decor. 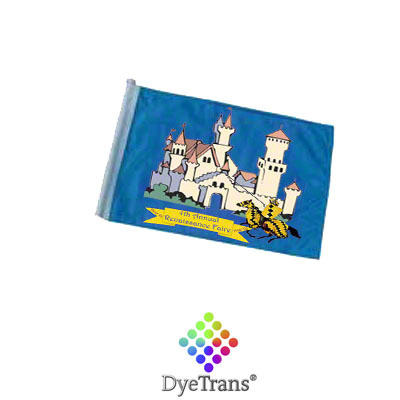 DyeTrans® 12x18 Extra Large Single Ply Garden Flag - without Pole, One-Sided. 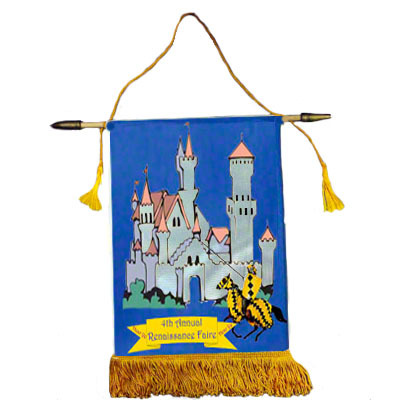 Uses the Garden Flag Pole (FLAGPOLE04 - sold separately). Flag Dimension: 12" x 17.75". Makes great garden decor. 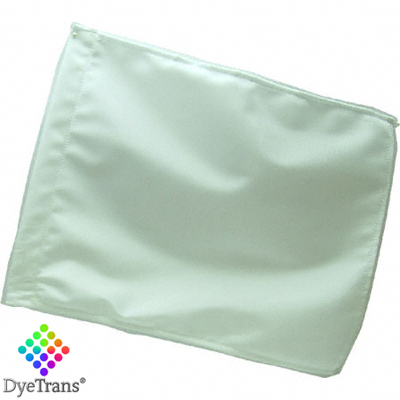 DyeTrans® Flag for the Garden, Large, Double Ply; 11.38" x 15". Garden Flag Pole (FLAGPOLE04) sold separately. 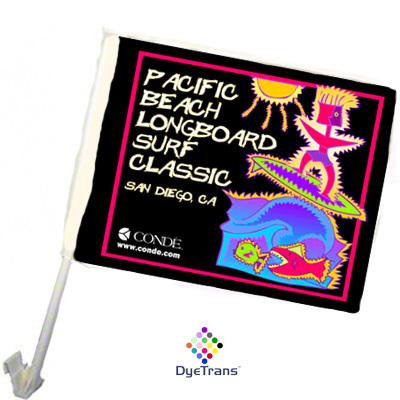 DyeTrans® 11x15 Large Single Ply Garden Flag - without Pole, One-Sided with holes on both ends for banner hanging. 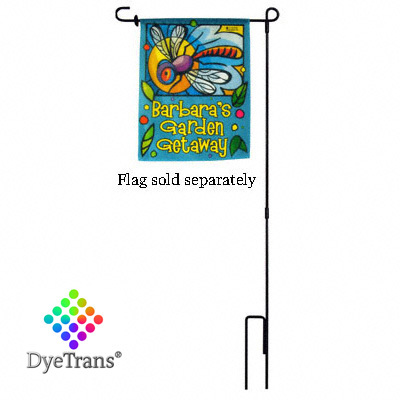 Uses the Garden Flag Pole (FLAGPOLE04 - sold separately). Flag Dimension: 11.25" x 14.75". Makes great garden decor. 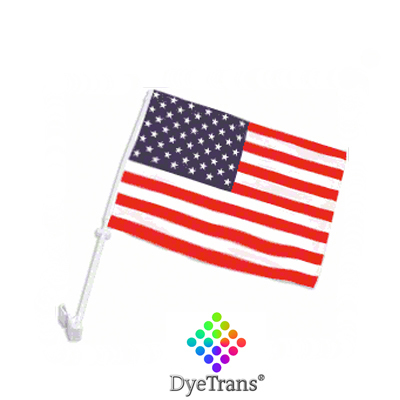 DyeTrans® Small Single Ply Flag - No Pole, 7.5" x 10.75". 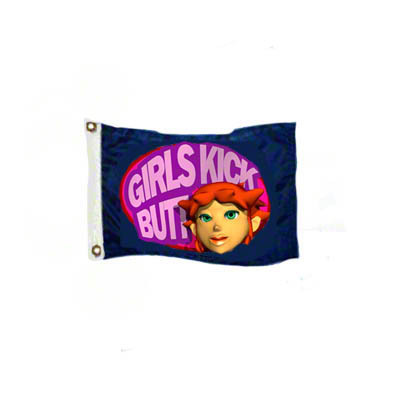 Customize these flags with sports logos, school mascots, political ads and more! 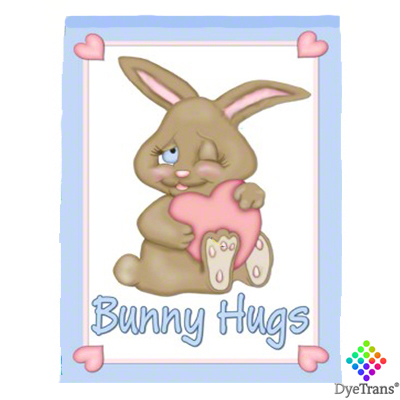 A great gift for sublimation. 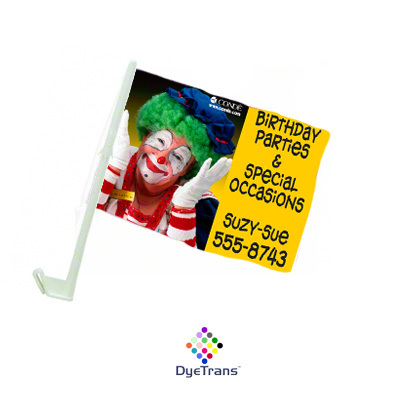 Car pole available (FLAGPOLE01 sold separately), makes a great event item! !